The Flower & Garden Festival will feature eleven outdoor kitchens very much like what you see at the Food & Wine Festival in the fall. This year’s kitchens include Botanas Botanico, Urban Farm Eats, Pineapple Promenade, Fleur de Lys, Taste of Marrakesh, Hanami, The Smokehouse, Primavera Kitchen, Lotus House, Jardin de Fiestas, and Florida Fresh. Be sure to pick up a Garden Passport and get stamped at your stops along the way. Passports will be available at the Festival Event Center, all Outdoor Kitchens, plus select merchandise locations. With just a week until the kick off of the festival, Disney has released the full menus. Better grab a snack, you’re about to get very hungry! 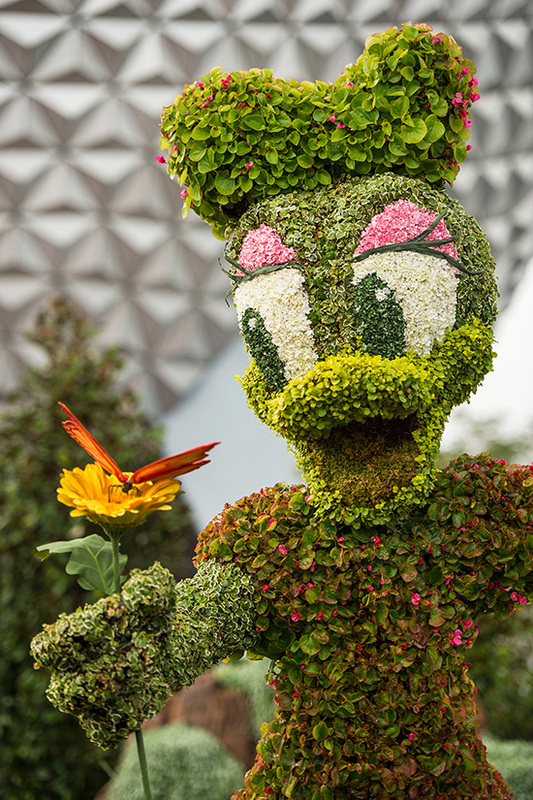 For more information about the Epcot International Flower and Garden Festival including calendar of events, concert schedule, and more, please click here! Need help planning your time in Epcot? Will you be attending the Epcot International Flower & Garden Festival? What dish are you excited to try? Please leave a comment! It all looks yummy to me, if I had to pick one snack, it would be the bar-b-que slider. Love pulled pork and slaw.